The house demonstrates the beginning of Wright’s evolution to the early modern Prairie style; already his rejection of traditional architecture can be seen. 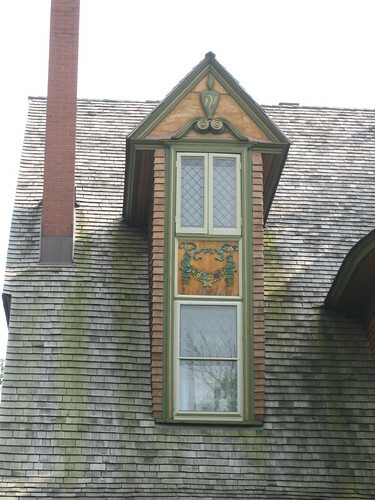 Just looking at the Gale House one can clearly see the differences in it and a more traditional Queen Anne home, such as the David Syme House in Sycamore, Illinois. 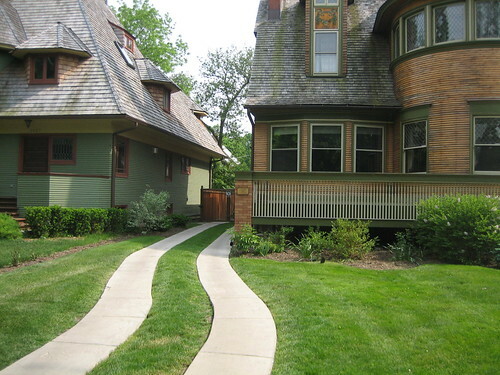 The Gale House fits nicely into the timeline that Oak Park’s structures cover in Wright’s career. It, along with the Bootleg Houses, provide a visual look at the earliest Wright designs and help explain how he eventually came to his Prairie style. 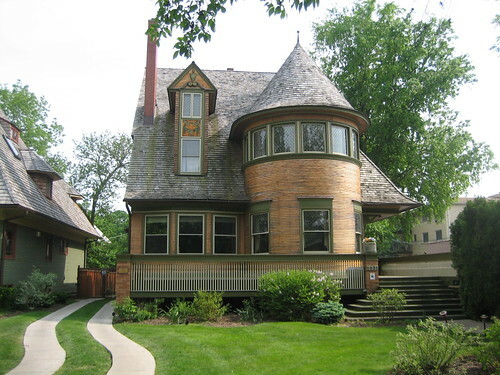 The house, on the cusp of downtown Oak Park, stands rather close to its nearest neighbor, another Wright design which was discussed yesterday, the Thomas H. Gale House. The Gale House is the earliest design by Wright after he left the famed firm of Adler and Sullivan. It was listed on the National Register of Historic Places in 1973. I compiled a Wikipedia entry about the house for you, again, mostly compiled from the National Register nomination form I have linked below.